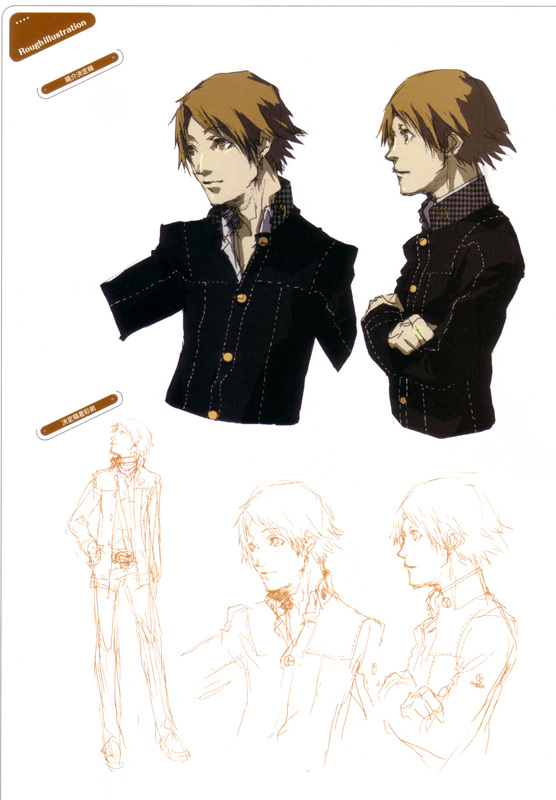 A 3rd year Yasogami High student who was the brains of the Investigation Team that solved last year's case. 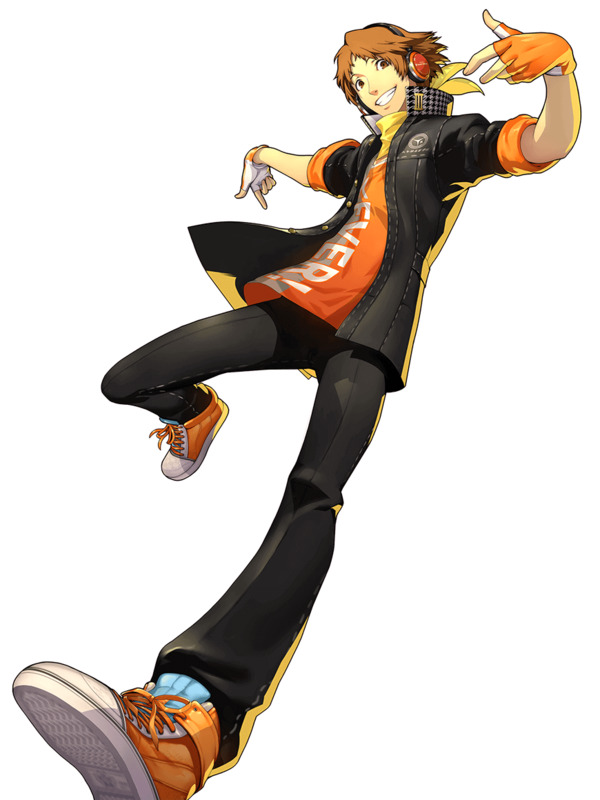 He's a cheerful trickster with speedy, unpredictable moves. 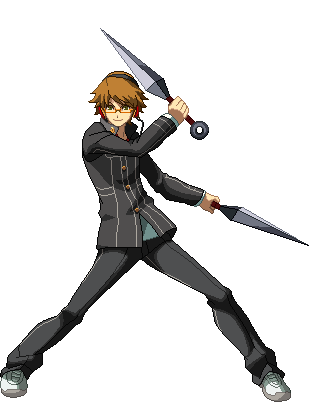 His Persona is Jiraiya, master of wind. 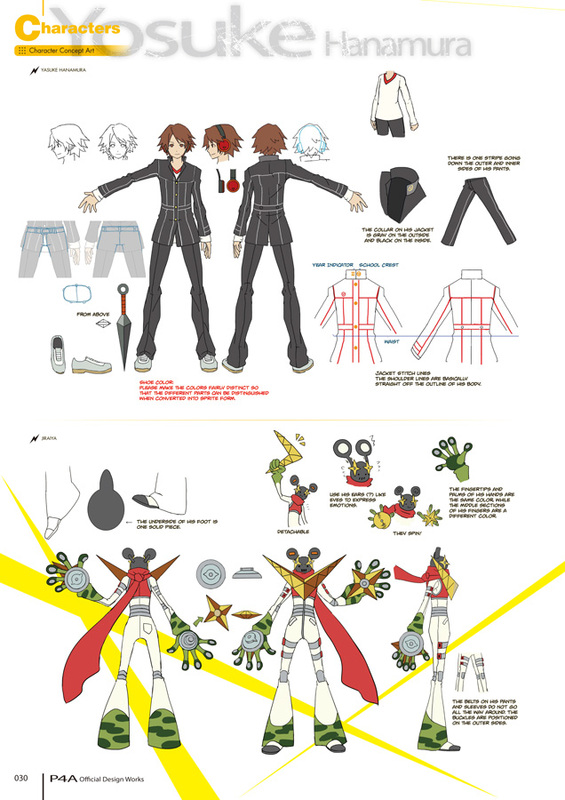 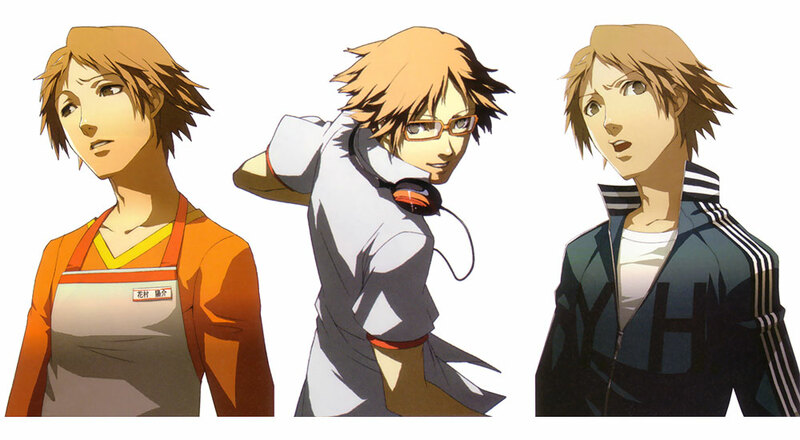 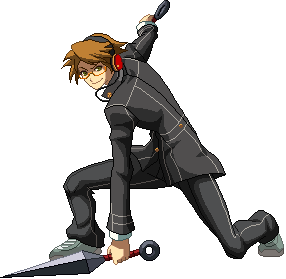 Yosuke is a clumsy, somewhat paranoid transfer-student who arrived six-months before Yu Narukami. 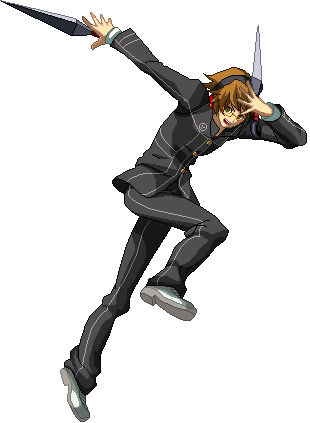 He is often the target for jokes about his lack of muscles and body strength. 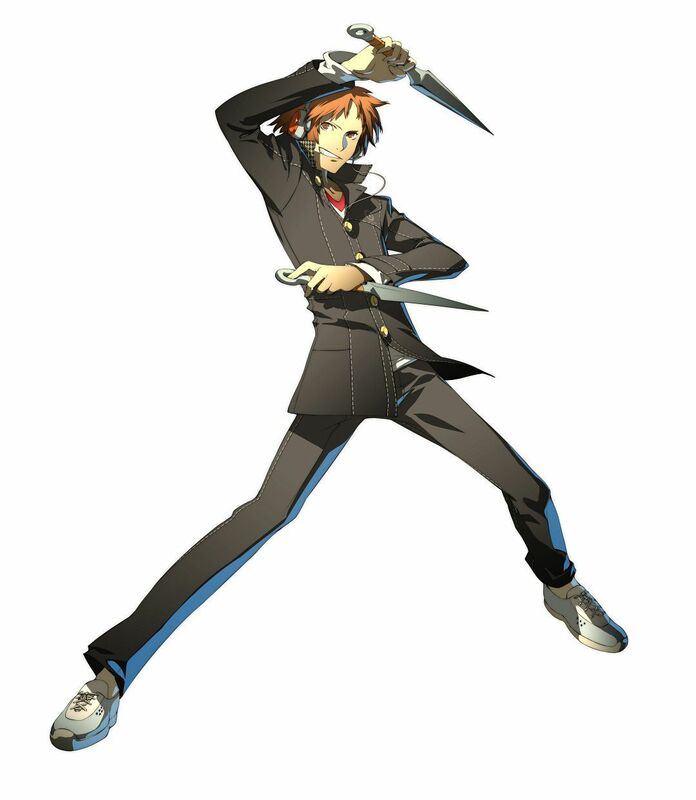 He fights with blunt, double-handed objects such as knives, kunais and wrenches. 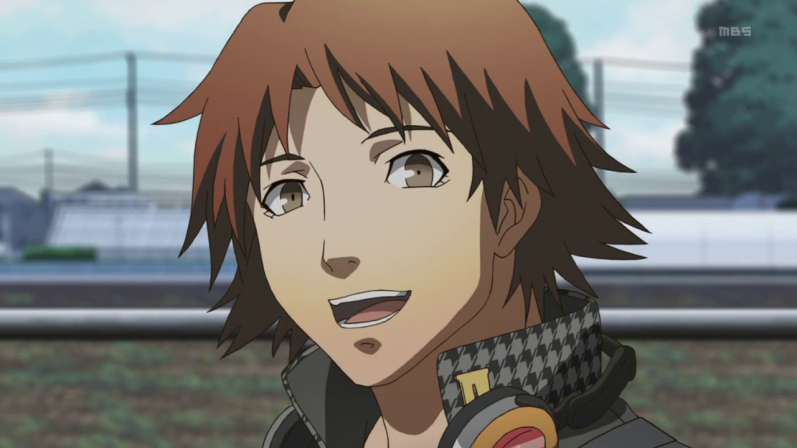 Yu first meets him when he crashes his bike into a garbage can (the first of many times). 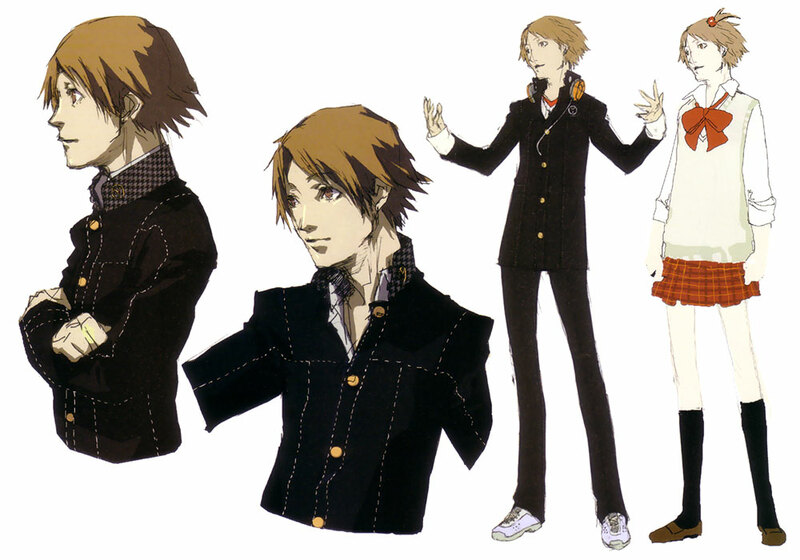 Yosuke cares deeply about Saki Konishi and fell into depression after her death. 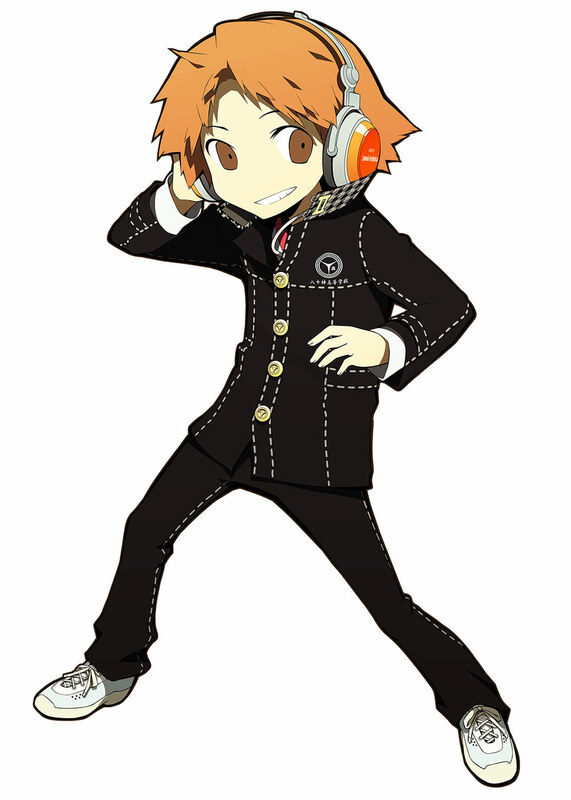 He tends to be a bit of a wannabe ladies' man and has a fascination for girls. 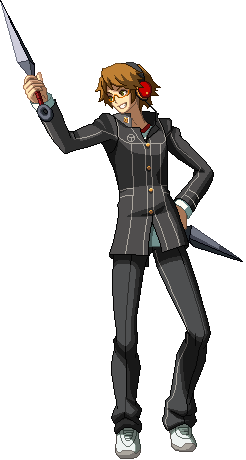 He shows great deducing skills and is often on task of the situation on hand, and can be a very serious individual at times. 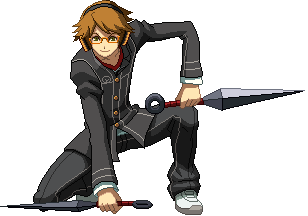 He also tends to keep a good face in order to make sure the team is on their best spirits and cares a lot about Yu at times, as well as having a strong sense of justice. 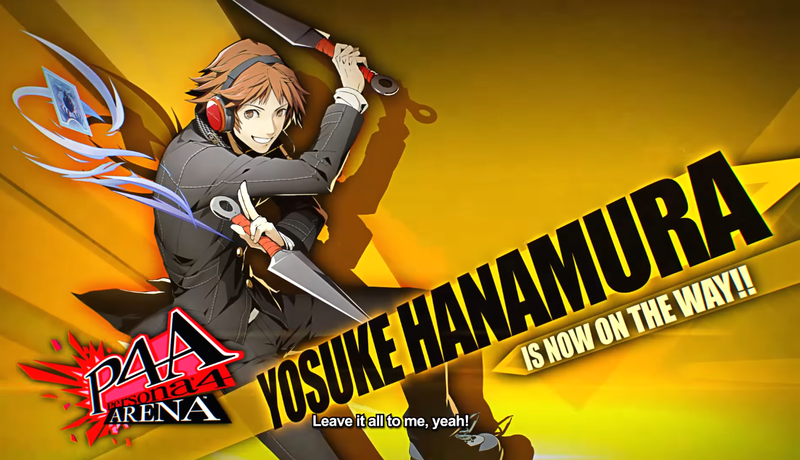 A notable gag is that Yosuke seems to be at odds with Chie Satonaka several times. 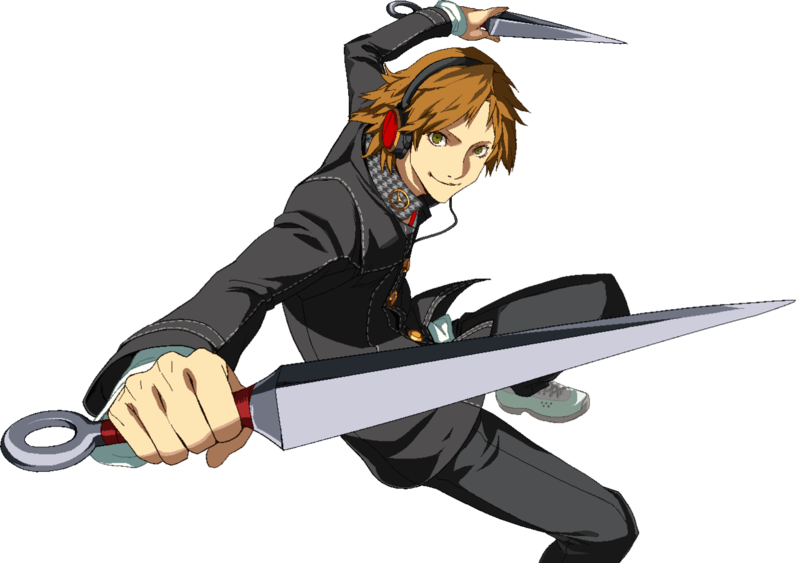 Yosuke is a naive, dorky kid who thinks he's cool... and somehow kinda works as the sidekick to the protagonist in Persona 4. 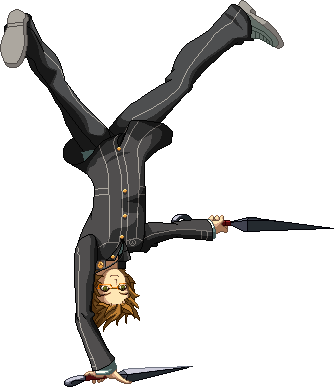 He's not the most likeable character from the start, but ends up being good comic relief (especially in the RPG). 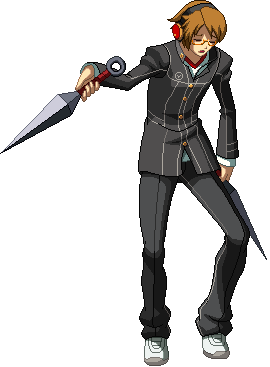 His double weapon / double kunai weapon sort of seems "given to him" and doesn't fit perfectly, but it does bring diversity to the series. 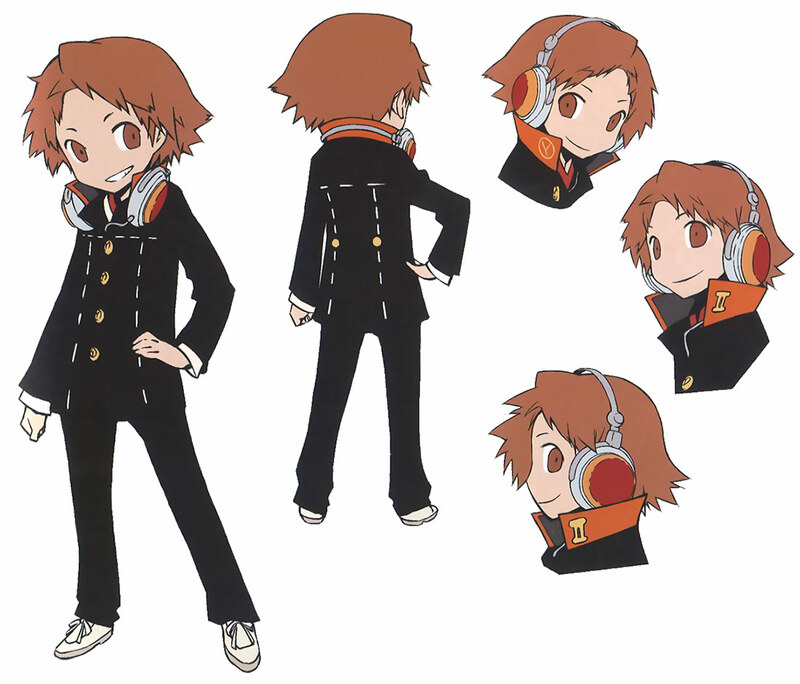 He has a defined personality that contrasts others' as well, which is good to have in a fighting game (or RPG).